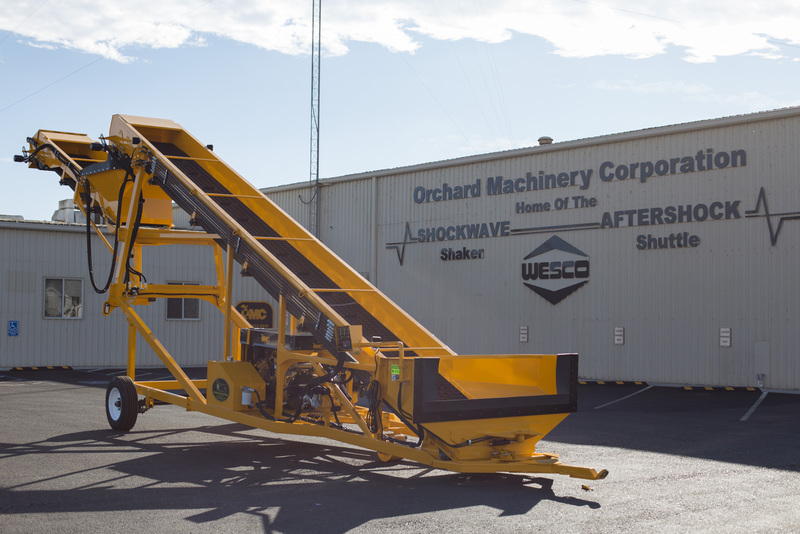 The Aftershock SD-36 elevator works in tandem with a side-dump shuttle such as the OMC Aftershock AR-400, providing the operator with quick and efficient transfer of collected product from the shuttle and into the trailer. Two 36-inch-wide belts haul the product up to a height of 14 feet 6 inches, while an optional de-sticker and cross conveyor remove sticks and twigs from your product, ensuring your trailer capacity is maximized with nettable product. 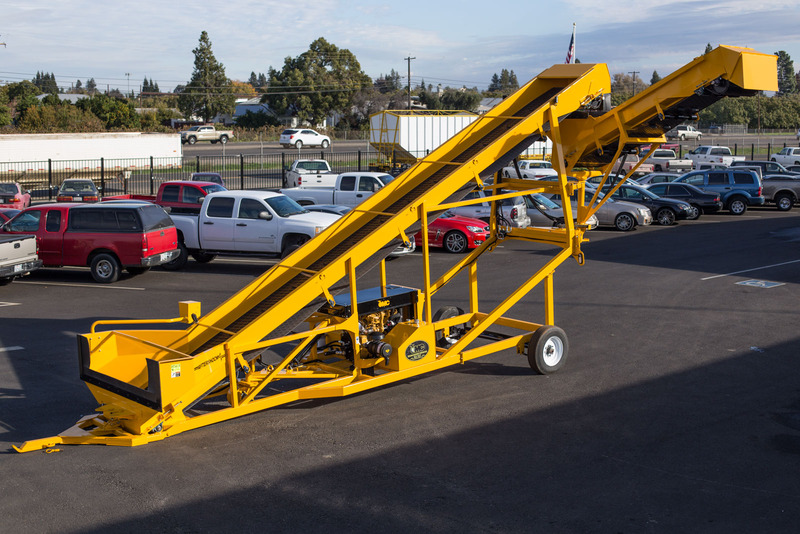 The SD-36 elevator is operated from a swingarm-mounted platform accessible from the cab of the AR-400 shuttle, ensuring operator safety and reducing fatigue. 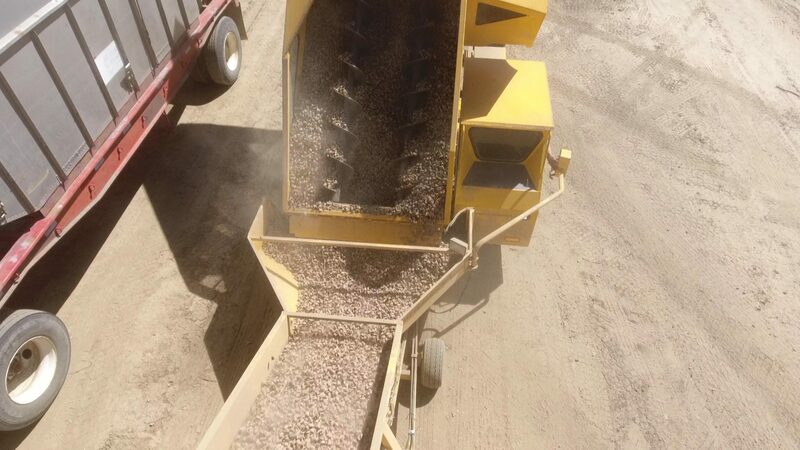 The Aftershock SE-180 elevator works in tandem with a front-dump shuttle such as OMC’s Aftershock AR-450, efficiently unloading your product and enabling the filling of multiple trailers with its 180-degree swinging top conveyor. The SE-180 controls are swingarm-mounted so that they are accessible to the driver of a shuttle, ensuring the driver’s safety, improving the unloading speed, and improving the efficiency of the operator in the field. Similar to the SE-180, but without the swinging conveyor, the Aftershock FE-36 elevator works in tandem with a front-dump shuttle such as OMC’s Aftershock AR-450. 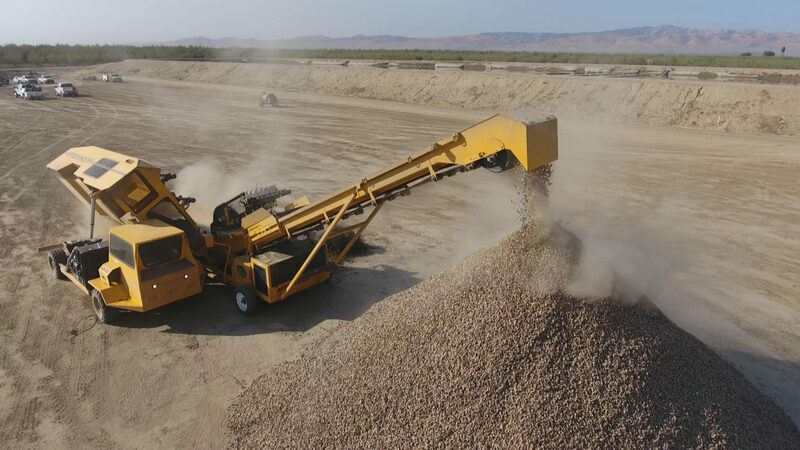 The FE-36 controls are swingarm-mounted so that they are accessible to the driver of a shuttle, ensuring the driver’s safety, improving the unloading speed, and improving the efficiency of the operator in the field.